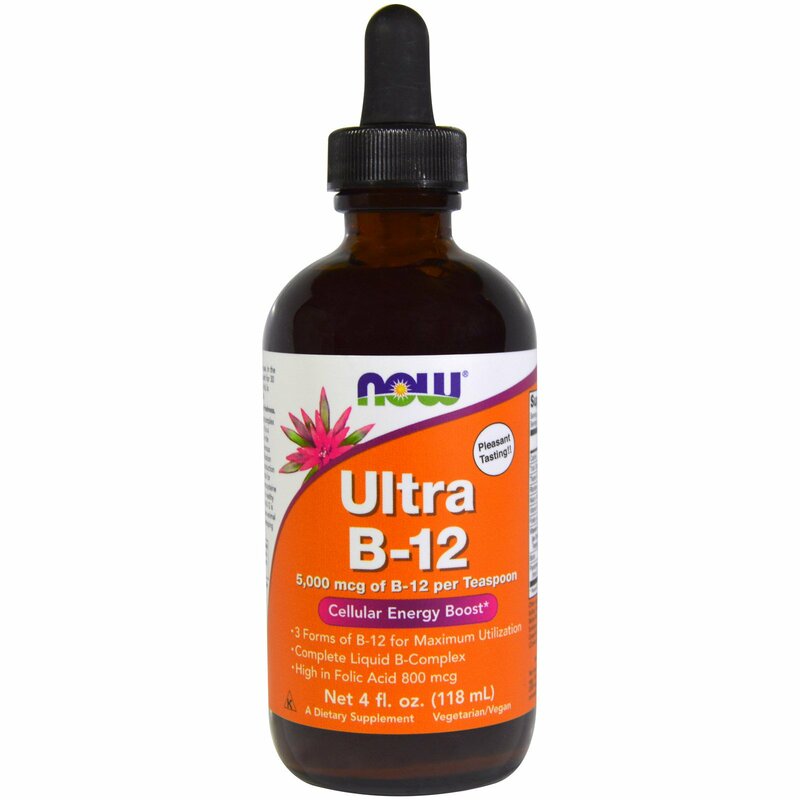 Vitamin B-12 has the largest and most complex chemical structure of all the vitamins. 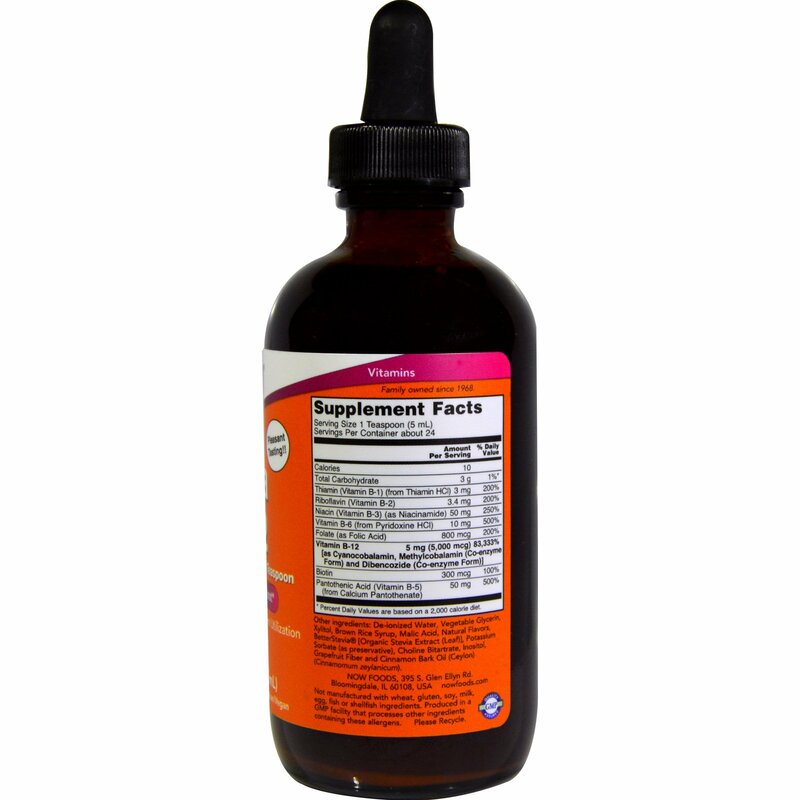 It is a water-soluble vitamin with a key role in the normal functioning of the brain and nervous system, as well as in the metabolic utilization of fats and proteins and the cellular production of energy. Vitamin B-12 is also essential for proper red blood cell production, homocysteine metabolism, and the maintenance of a healthy gastrointestinal tract. NOW Vitamin B-12 is appropriate for vegetarian/vegans (non-animal derived), who are at higher risk of developing Vitamin B-12 deficiency. Shake well before use. In the morning, take 1 teaspoon, hold in mouth for 30 seconds, then swallow. 1 teaspoon (5 ml) is equivalent to about 5 half dropperfuls. De-ionized water, vegetable glycerin, xylitol, brown rice syrup, malic acid, natural flavors, Better Stevia [organic stevia extract (leaf)], potassium sorbate (as preservative), choline bitartrate, inositol, grapefruit fiber and cinnamon bark oil (ceylon) (cinnamomum zeylanicum). Not manufactured with wheat, gluten, soy, milk, egg, fish, or shellfish ingredients. Produced in a GMP facility that processes other ingredients containing these allergens. Please recycle.